Earlier this year, I wrote a college blog post after hearing from an affluent mom in Washington state named Lynne, who used 66 net price calculators (!!) to determine which schools would offer the best awards to her bright daughter. It can take a long time to using these invaluable net price calculators and clearly most families (even those who are convinced of their value) aren’t going to devote hours to these tools. That’s why I am excited to share with you news of a new website – College Abacus – that will make the task of comparing net prices of various colleges and universities a snap. (If you don’t know what net price calculators are, scroll to the bottom of this post to find some of my past articles.) College Abacus will allow you to compare your projected financial aid packages at countless schools effortlessly. 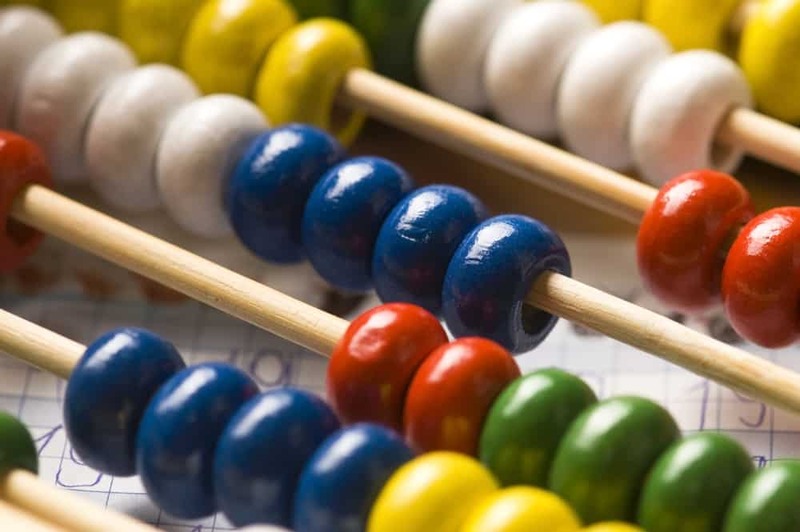 If you’ve ever used Expedia, Orbitz or Kayak to search for airline tickets or Zillow to look at house prices then you’ll appreciate what is special about College Abacus. College Abacus, which was launched earlier this month, allows parents to provide information about their finances and their teenager’s academic profile just one time. Once the information is inputted, the family can obtain the estimated net price of dozens of schools (or more) without any extra work. Talk about a time saver! Two young Rhode Scholars – Abigail Seldin and Whitney Haring-Smith – created College Abacus as a way to increase college price transparency for cost-conscious families in the hope that the tool will increase access to higher education. If you use the free tool you can tie into an aggregated net price data base for roughly 2,500 colleges and universities and hundreds of more institutions will be added soon. The schools that are currently available at College Abacus use the federal template for their net price calculator, which has been criticized as being inadequate. The federal template asks few questions which can lead to inaccurate answers. Many state universities use the federal template because their financial aid systems are fairly simply. I suspect, however, that many of the expensive private institutions that selected the federal template did so because they can use their calculators to mask stingy financial aid practices. In November, hundreds of private schools that have developed sophisticated calculators will be added to College Abacus. Cost data for schools using net price calculators that were designed by Student Aid Services should be up my mid November, as well as for the University of California system and the SUNY and CUNY schools in New York. Cost figures from schools using net price calculators designed by the College Board will follow. 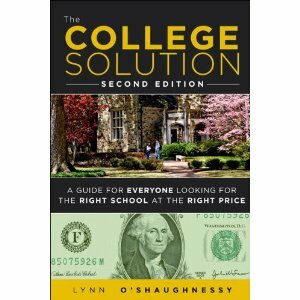 To make this work, College Abacus is essentially having to crack the code of the net price calculators of all schools. Once it figures out how a school makes its financial aid awards, it can add the schools into its lineup. If a school is not in the system yet, College Abacus will direct a user to the institution’s net price calculator on the school’s website. If college costs are an issue, parents should be using net price calculators before they allow their children to apply to any college. Fortunately, College Abacus is going to make this exercise much, much easier to do. Who Still Believes that College Prices Matter? I am many months after you originally posted the info about Abacus, and I am finding that many of the schools my son is interested in are now available. I had already plugged numbers into the respective college cost calculators on each school’s website, so I was able to compare those numbers to those that are generated by Abacus. I found that the numbers did not match exactly (using Abacus each school gave my son slightly more aid), but it was quite close to what I had come up with on the individual sites. What a time saver when you are just starting out looking at schools- families can weed out schools that are not in their price range early on, or at least get a dose of reality of what they will have to pay for their child to attend. Thanks Rose on the update of College Abacus. I’m going to have to write another story soon about it! I recently read your workbook — which is great — and agree the calculators are invaluable. I have one question: Two-parent families are allowed to have a certain amount of savings – I am a one-parent family (widow) and am allowed to have much less (less than half.) This makes no sense to me, since I still need to save just as much for my two kids for college as I would if there were another parent in the picture (maybe more!) What is the rationale for this? And what to do about it? thanks! I will just add that the site doesn’t work, as another poster noted above. Any college I tried, e.g, Williams, returned a message that it was not yet in the system, even when the school was on their school list. They should have beta-tested this further before going live. Great article, Lynn. While it’s encouraging for families to see this “one-stop” shopping list through College Abacus, I’m fearful that’s it’s going to continue to fall short for the near future. My firm ran NPC’s for 80 colleges last year and as you might expect, received 78 wildly different results. Since College Abacus allegedly appears to link or integrate with college sites to pull the data from those very NPC’s at the respective college web sites, then the Abacus site will have little ultimate value. I tried two schools that I tracked last year, and their data is not even in the system. Hopefully, it’s a step in the right direction and the data will actually be worth something in the near future…. before my 8 year old goes to college, perhaps!?!?! That would be nice, huh?! Don’t forget the schools that don’t use the federal template aren’t on College Abacus yet. Are you finding that the calculators that use Student Aid Services, College Board, Hardwick Day and other non federal template calculators are unreliable? There’s a lot of npc bashing going on, but I think there are plenty of calculators that are accurate. Wow, this is great news if it can really tie in all schools that use the College Board and the one developed by the Student Aid Services. I have found the College Board’s calculator and system very helpful as it lets you input information once, then very quickly pull the NPC info from a variety of schools that they serve. This makes it very easy to play around with different income/asset numbers and see the resulting changes in NPC at a wide variety of schools. If College Abacus can really do this, bringing in accurate NPC’s from all schools served by the College Board and Student Aid Services – this will be a HUGE benefit. I’m less enthused about their initial offering – schools with just the federal template – as I have found the results to be not only inaccurate, but misleading. But, at least it’s a start. Thanks for your comment Rich. I was excited as you are because of the convenience this will represent. Everyone will have to be patient until the calculators from Student Aid Services, College Board, Hardwick Day and others come in. This looks promising. But every school I choose, even ones on the drop-down list, return a message saying they aren’t in there. I look forward to the inclusion of many more schools, particularly privates. Thank you Lynn, you always provide wonderful tools. As a Mother of a senior in high school, your advice and guidance has been nothing short of wonderful. I will try it now. Thanks for your kind words Marisa! I should emphasize that private schools that built their own calculators won’t be up until mid Nov. or later. All schools should be on College Abacus by January.